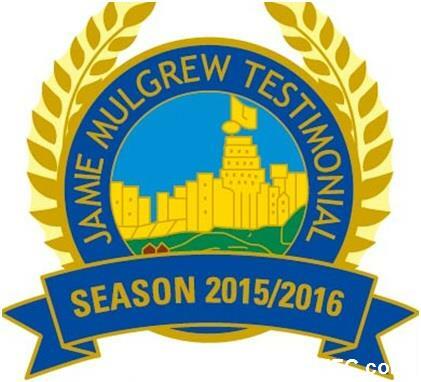 The Jamie Mulgrew Testimonial Committee has organised a pre-match lunch function at Windsor Park on Saturday 23rd April, prior to the Danske Bank Premiership game against Cliftonville. The function will commence at 1.00 pm in one of the corporate hospitality lounges in the superb new South Stand at Windsor Park. 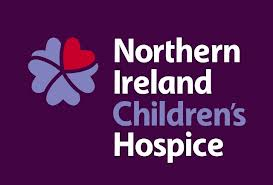 Following a Question & Answer session with Jamie Mulgrew, there will be a hot buffet lunch with a choice of Thai Chicken Curry or Beef and Guinness Pie. This will be followed by tea and coffee. 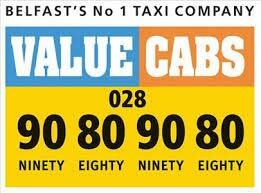 A full bar facility will be available during the function, subject to licence. The guest speaker for the event is local comedian Tim McGarry. Tickets are now available for this function at a cost of £20. 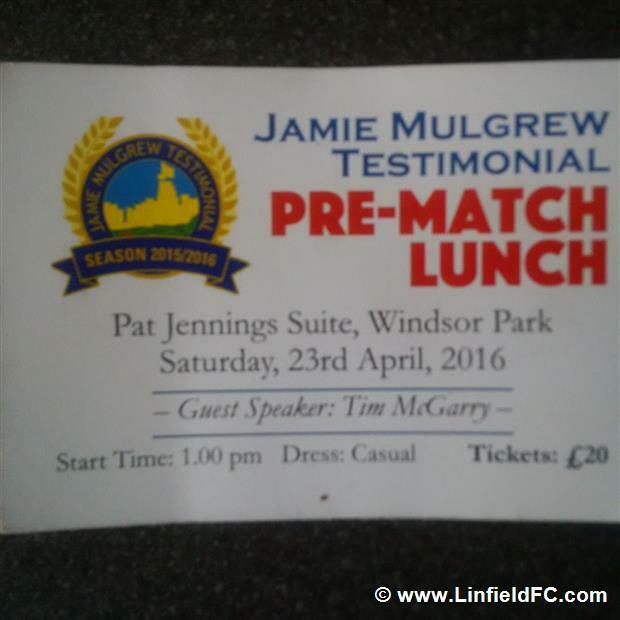 These can be purchased from any member of The Testimonial Committee or by contacting Roy McGivern (roy.mcgivern@linfieldfc.com). 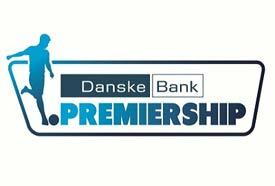 Tickets can also be purchased from the club offices at Windsor Park before next Saturday's home game against Coleraine. 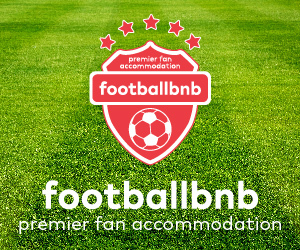 The ticket does not cover admission to the game. Numbers are limited for this function and tickets are expected to sell quickly so please place your order as soon as possible. John Aiken (Chair), Stephen Dickson (Treasurer), Roy McGivern (Secretary), Ivan Ogborn (Vice Chair), Andy Nelson, Rab Barrow, Paul Boyle.